We're launching our debut line of all-weather footwear that combines modern styles, premium materials, and practical technology. FORSAKE was founded by Jake Anderson and Sam Barstow - two friends with a love for the outdoors and a passion for building new products. A few years ago we took some time away from college to live, work, and play in the Rockies. While there, we needed footwear that felt equally at home while hiking, biking, traveling, working, and simply hanging out with friends; shoes that stood up to harsh weather and terrain without sacrificing comfort, performance, or style. Unable to find versatile sneakers that met these needs, we decided to build our own. After two years, dozens of designs, five rounds of prototypes, and multiple field tests, we've completed a three-model product line of exceptionally versatile footwear that performs in all conditions, weather, and terrain. We're ready for mass production, but we need help reaching the minimum order quantities set by our material suppliers. We're putting our product line on Kickstarter to see if we can make it happen! You're probably thinking, "$225,000!? That's a ! @#$ ton of money!" Yes, it certainly is. The large amount is due to our minimum order quantities. Our material suppliers require us to purchase enough material for 3,000 units. And 3,000 x $75 = $225,000. Below is a breakdown of how this money will be spent. $130,000 will go directly to our factory to pay for materials and production of the three models we present below. $27,500 will go towards creating our outsole/midsole molds for a full run of Men's sizes. $20,000 for t-shirts, stickers, ponchos, and other rewards. $22,500 will go towards Kickstarter and Amazon fees. $8,000 will be set aside for miscellaneous expenses such as travel to/from Asia, shoe boxes, creating the lookbook, and a lot of coffee. Reward levels of $75 and above are intended for one (1) pair of shoes. It is possible to add more shoes to your reward by simply increasing your Pledge by the amount stated at the bottom of the reward description. If we have any problems determining your reward level and number of shoes, we will contact you directly to confirm. If funded, all Backers will have the opportunity to request specific model, color, and size. Shoes will be delivered during the month of September. Personalized shoes will be delivered in early October. We wish it could be sooner but there is just no way to speed up the manufacturing process without sacrificing quality. Throughout production, Forsake shoes will undergo rigorous quality control testing for waterproofing and durability, and then be shipped via ocean freight to the USA. Think about it this way... You'll spend the entire summer in shorts and sandals. 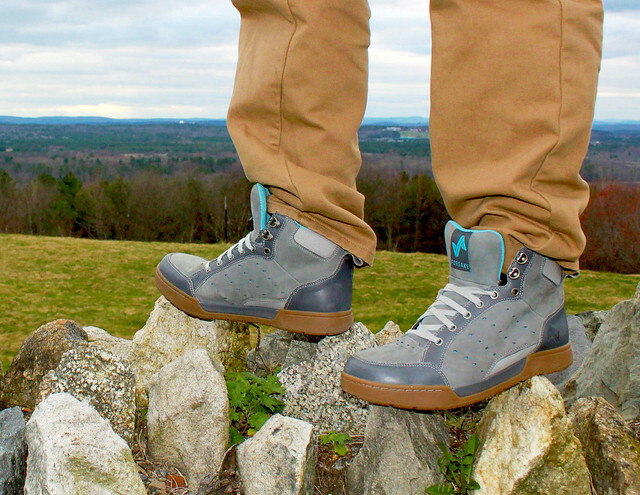 And as soon as the warm weather says its rude goodbye, our all-weather waterproof sneakers will be on your doorstep to keep you warm, dry, and comfortable throughout the Fall and Winter. But we're not going to completely leave you hanging. T-shirts, ponchos, stickers will be in the mail this May. T-Shirts available in Men's and Women's XS-XXL. For additional high-resolution product photos, check out our website at www.forsake.co! Our custom outsole, incorporated into all three FORSAKE models, combines aggressive, multi-channeled lugs typically found in hiking shoes with the clean, understated profile of a casual street shoe. Our products are available in US Men's sizes 8 to 13. This includes all half sizes except 12.5. If our funding goal is achieved, all backers will be contacted to find out preferred model, color, and size. Women's shoe sizes = Men's + 1.5, meaning a Men's 8 = Women's 9.5. We're very sorry, but we are not able to offer a complete run of Women's sizes at this time. FORSAKE shoes fit slightly wider than your average running shoe and are built to accommodate a variety of foot shapes. Length is true to standard US Men's sizes. No need to be concerned if you have a narrow foot. With 6-7 eyelets over the top of the foot and 2-3 across the ankle, our products are very easy to tighten and secure. Depending on availability, we may be able to accept size exchanges from Backers. We'll keep you posted on this. As a start-up footwear company debuting our first product line, we are faced with the challenge of long development timelines and huge up-front costs. Producing high-quality footwear for a complete run of sizes is a serious undertaking. It includes material sourcing, mold cutting, sampling in all sizes, testing for waterproofing and wear-resistance, production, and, finally, shipping. It's no small feat. A pre-order campaign through Kickstarter will help finance mass production and eliminate the guesswork of trying to decide how many units to manufacture. And, best of all, we can offer our products directly to consumers at wholesale prices. Our waterproof and breathable products are made from full grain leather, nubuck leather, suede, and cordura. We don't skimp and we don't cut corners. We want to get our shoes on as many feet as possible, and Kickstarter offers an incredible launching pad to make it happen. Thanks for checking us out! Eternal gratitude and a digital copy of our Fall 2012 Lookbook with your name printed in the Supporters (aka Ballers) section. This reward is included in all reward levels. A postcard with a personal message from the co-founders - because our mothers taught us to always write thank you notes. Sent from anywhere our Forsake travels take us. Broke College Student Reward! It's not easy shelling out $75 for a pair of shoes. Trust us, we sympathize. We would love to give you a pair, but we're broke too. So donate $12 and we'll send you a set of Forsake shoelaces. Consider it a placeholder for the future; a symbol of more prosperous times to come! Variety of awesome Forsake die-cut stickers - guaranteed to liven up any flat surface! Stickers are included in all greater reward levels. Original crayon drawing from either Jake or Sam (it’s gonna be a coin toss) and a Forsake refrigerator magnet to hang it up! Boston-Area Residents: $750 Reward hand-delivered over a pint or two at Top of the Hub bar in the Prudential Center. After loading the goods into your trunk, we’ll grab a beer and enjoy some great conversation overlooking downtown Boston. Boston-Area Residents: $750 Reward hand-delivered during a stroll through Hahvard Yahd and a visit to Concepts - our favorite Boston-area shoe store. We’ll share our thoughts on the current footwear market and where we hope to be in upcoming seasons. 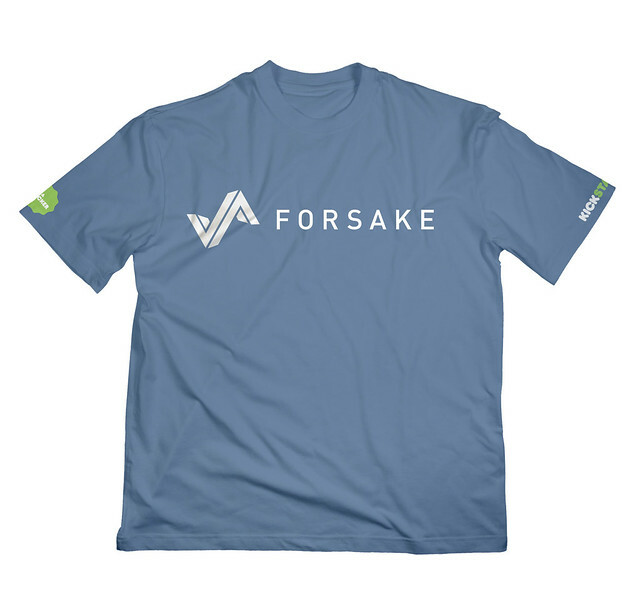 $750 Reward + Dinner with the Forsake co-founders in Boston or New York City! $750 Reward + Meet up with us for a Red Sox game at Fenway Park + Extreme awe of your generosity. Must notify us of your preferred date 30 days in advance. Regular season games only.